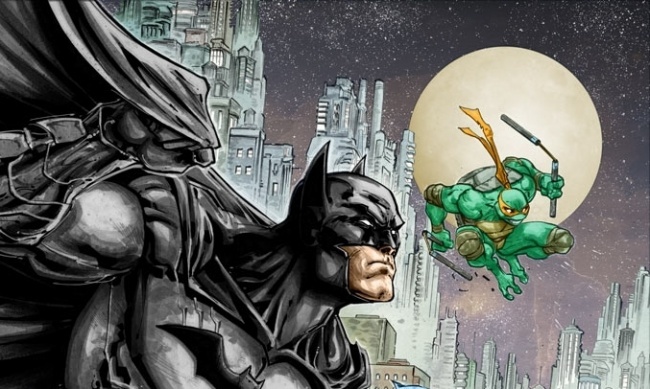 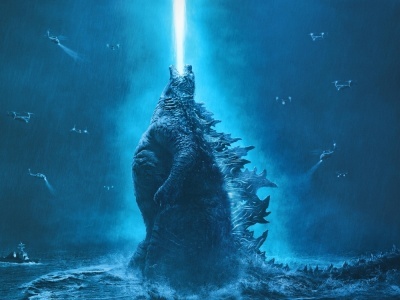 Comic-Con News: At the IDW Panel at the San Diego Comic-Con, IDW Publishing and DC Comics announced a six-part monthly Batman/Teenage Mutant Ninja Turtles crossover event that will debut in November. 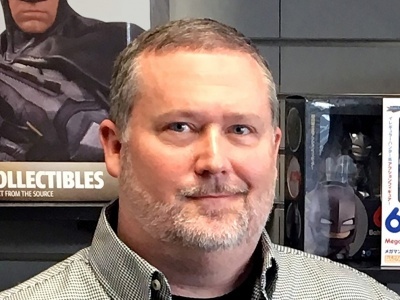 James Tynion (Batman: Eternal) will write the crossover and Freddie Williams II will provide interior and cover art. 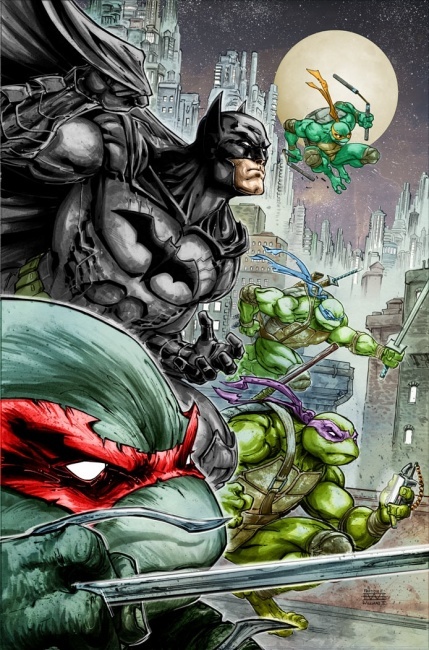 Kevin Eastman, co-creator of the TMNT, will provide one of the variant covers, along with a group of as-yet-to-be-announced artists. 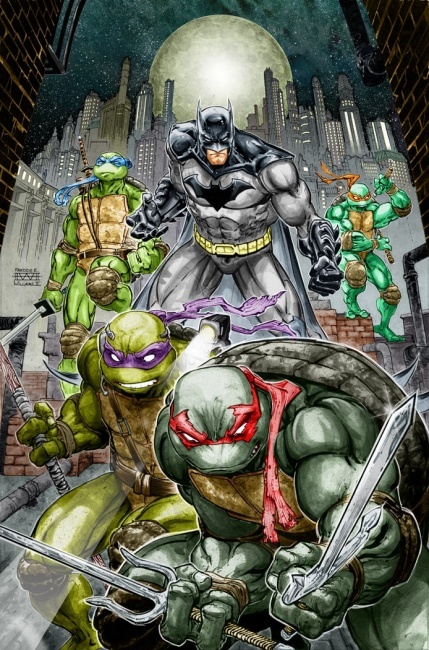 The action in the crossover series is initiated when General Krang transports both the Turtles and Shredder to another dimension where they find themselves—you guessed it—right smack dab in the middle of Gotham City where a meeting with Gotham’s most famous crimefighter is almost inevitable.